One of several fantastic gifts that I’d gotten this holiday was given to me by my friend, Yasmina. She gifted me the opportunity to attend a chocolate workshop with her at Belyzium, an organic, tree-to-bar artisan chocolaterie, located in Berlin, Mitte. One of the things that makes Belyzium so unique is that they are tree to bar, which means they are involved in every step of their product —from growing to packaging. They grow their own cacao using methods of organic agriculture, which when ready to harvest, is done so by hand. The cacao beans are then fermented, dried, cleaned and shipped to Berlin where the beans are roasted, ground, refined, tempered and molded. The workshops, which are held weekly, immediately begin to teach you what real chocolate is all about, even before a word has been spoken. 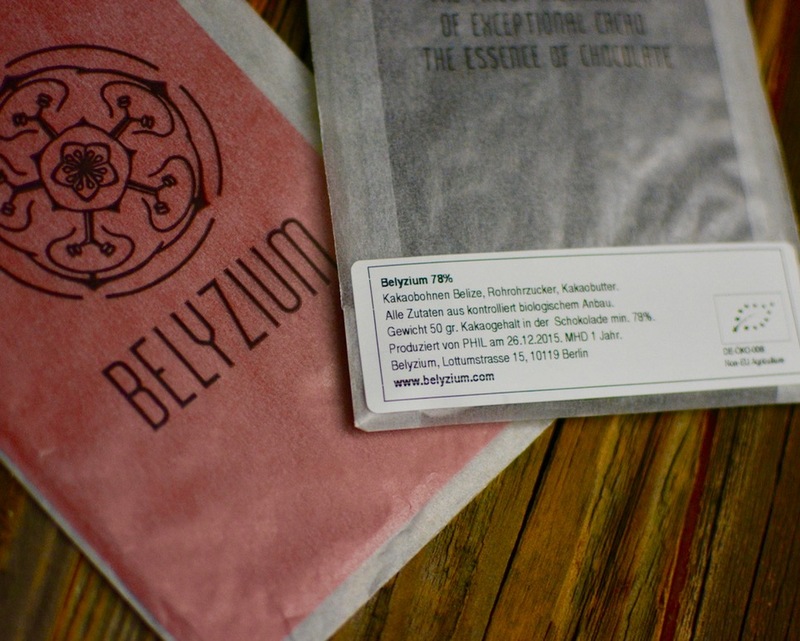 Upon walking into the front doors of Belyzium, you are greeted with the intoxicating fragrance of chocolate. The aroma is much different from that which one might smell wafting from an oven with brownies blissfully baking away in it or even a pot of rich hot chocolate steaming away on a warm hob —it’s richer, fuller and creamier than either. 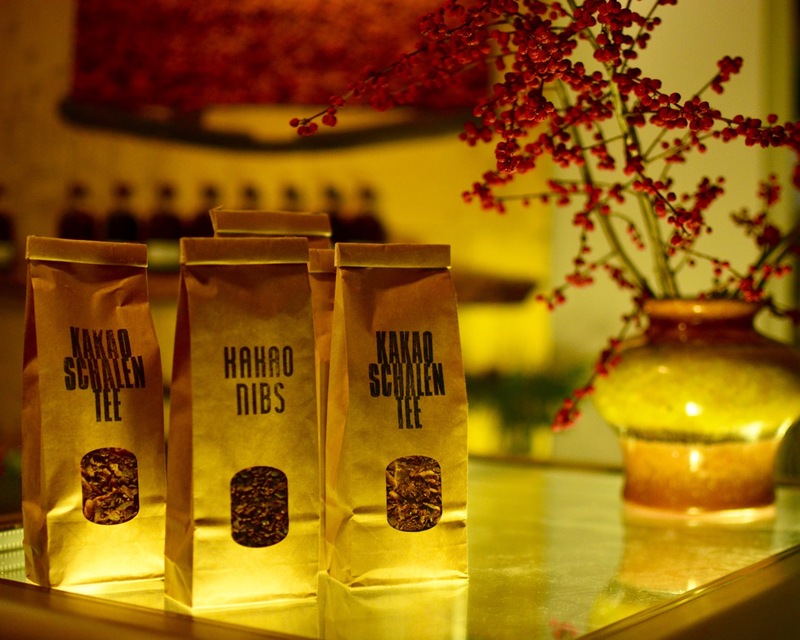 Once inebriated by the velvety cacao haze that greeted us upon entering, our taste buds were teased with fresh tea made from the husks of roasted cacao beans. The tea, which they also sell at Belyzium, had a lovely, nutty flavor. Naturally, sugar can be added, but I found it was perfect without it; chocolatey without the sweetness. And as we sat, comforted by the smell and taste of chocolate, the chocolatier guided us through Belyzium’s history, values, and production. Soon after, we were escorted a few feet away, from the store front into chocolate heaven, the workshop, where their chocolates are made. 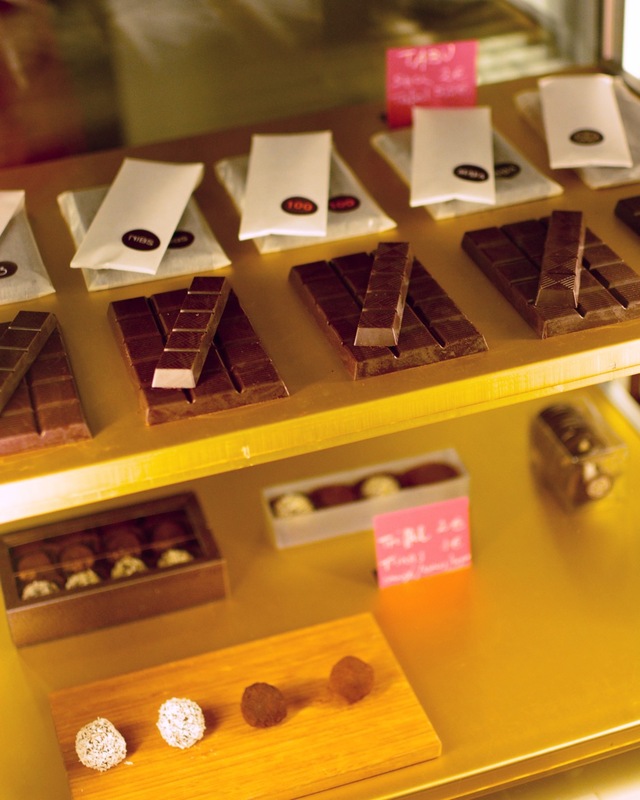 It is in this space where the beans, which have been shipped from Belize, are roasted, cracked, ground and molded into beautiful chocolate bars, truffles, and other delectable treats. We had the opportunity to taste the cacao beans at every stage of the process – a fantastic treat for the taste buds. 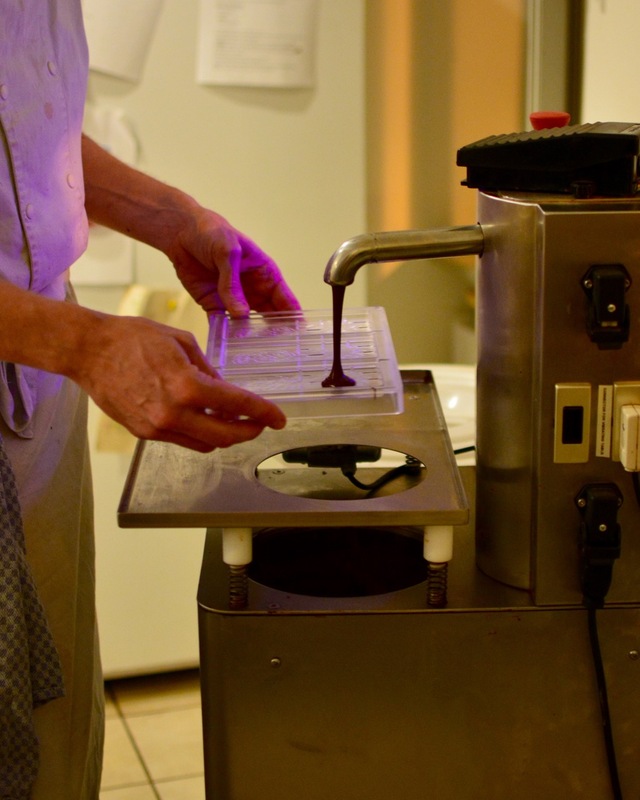 Best of all we each had the chance to use the tempering and molding machine to make our own chocolate bars — my chocolate fantasies fulfilled! 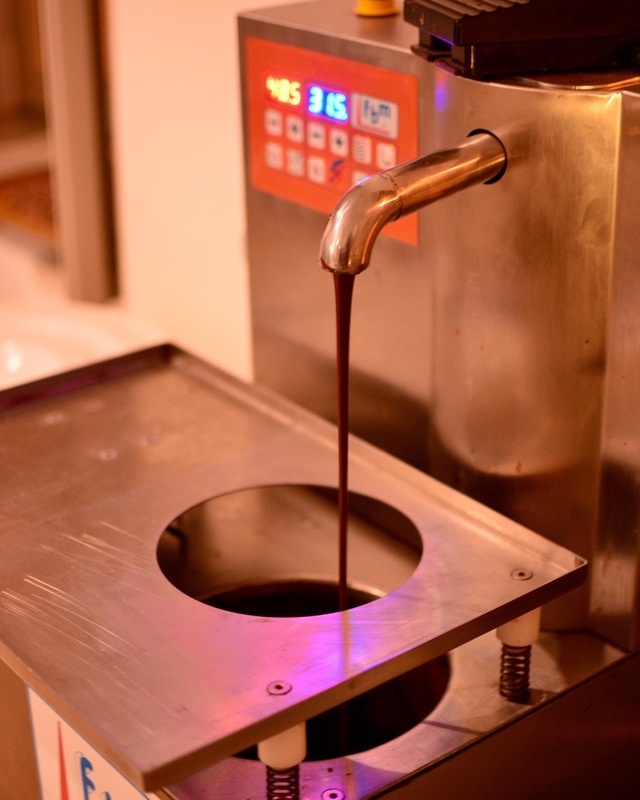 Chocolates being poured into molds. Gotta love a machine called Crankandstein! 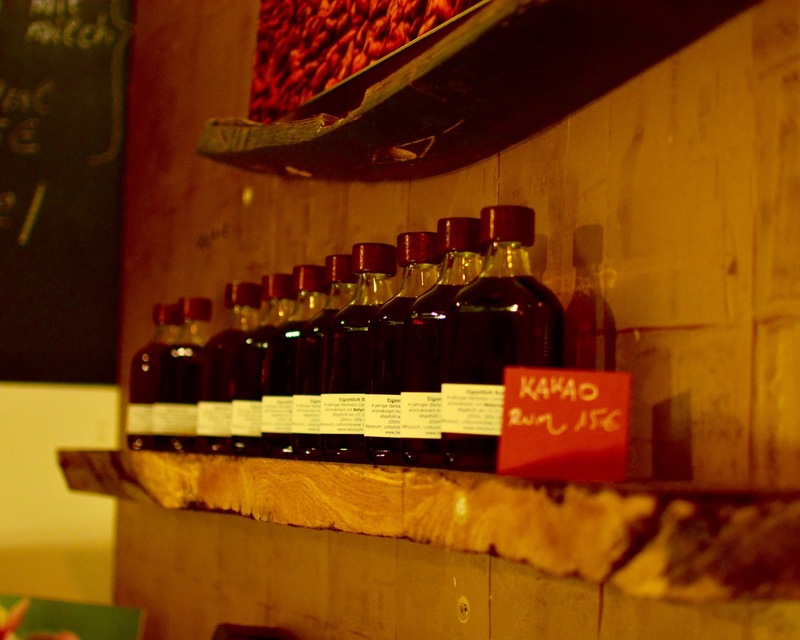 Belyzium makes their own cacao infused rum. And of course there is chocolate! 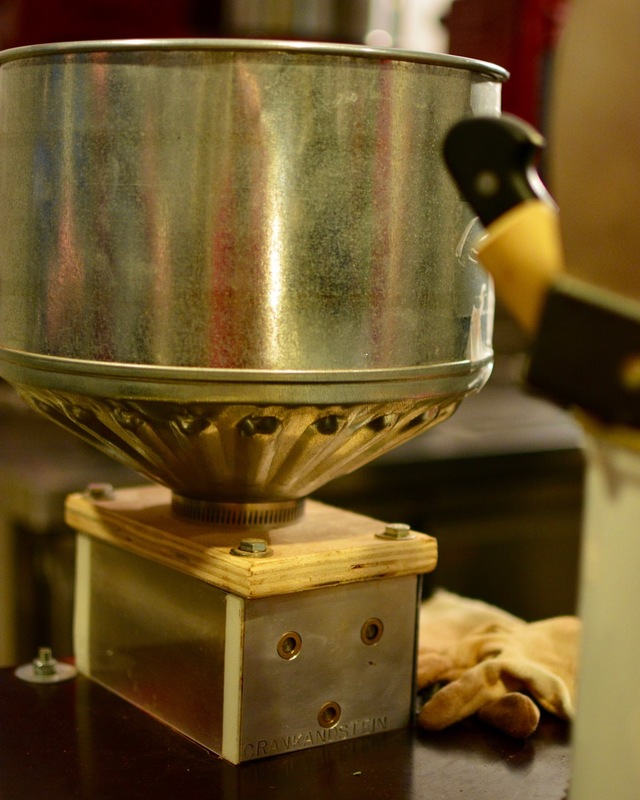 Their “Tabu” chocolates, which are made using untraditional methods, begin to melt at just 60 degrees fahrenheit.